Radha Govind Institute of Pharmacy is starting in the year 2009 Under the auspicious of RADHA GOVIND INSTITUTE, is one of the premier pharmacy colleges in Uttar Pradesh (Chanduasi, Distt- Sambhal near Moradabad. 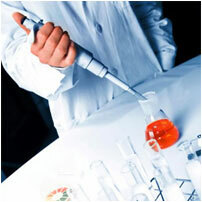 ), imparting quality pharmaceutical education. RGIP is managed by Sonal. Educational society. All India Council for Technical Education (AICTE), New Delhi. Pharmacy Council of India (PCI), New Delhi. In agreement with the norms of All India Council for Technical Education (AICTE), the college has an edge of a sound infrastructure and is well set on the path of progress with the cumulative efforts of all the sectors working in perfect harmony..